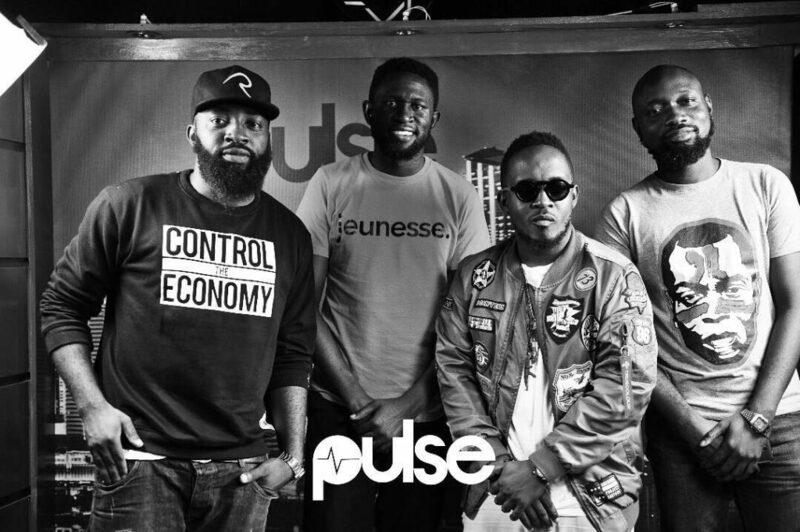 On that Loose Talk episode which had the entire music industry abuzz, Nigeria’s own Mr. Incredible, commenting on lyricism in Nigerian rap argued that rappers often have to dumb down their lyrics for the Nigerian market, citing Anoti as an example of a hit song whose bars are weak. M.I gives the impression that the Nigerian audience is not properly suited for lyrical genius, hence why his Illegal Music projects are only mixtapes and not fully promoted albums. As disturbing or not as this pronouncement is, it is even more interesting to note that he is not alone in this thinking. Veteran hip-hop act, Mode 9 shares his thoughts on the relationship between rappers and the Nigerian music industry on his song Pain off his Pentium IX mixtape saying, “If I don’t make money, I got myself to blame cuz I didn’t sellout, didn’t make my rhymes lame for the glitz and the glamour and the mainstream fame.” This, in my opinion, is the crux of the discourse on the decline and seeming failure of hip-hop in Nigeria – the apparent conflict between being a megastar and making music of a certain lyrical sophistication. In general, Nigerian rappers do not receive as much attention and acclaim as their Afro-pop counterparts, bringing in much less money from album sales, concerts and live shows. On the surface, it is easy to agree with rappers like M.I and Mode 9 that this is because of Nigerians’ lack of understanding of rap music, leading to a degree of underinvestment in the genre. However, when we consider the fact that American hip-hop has historically enjoyed a sizable fanbase in Nigeria, with the likes of Jay Z, Tupac, Biggie and Kanye West becoming household names, such an analysis begins to fall apart. In more recent times, the turnout and audience engagement at the December 2016 performance by Migos, the hip-hop trio, in Lagos is evidence enough that Nigerians too, are into rap. This then begs the question: why doesn’t Nigerian rap sell in Nigeria? First, we must accede that hip-hop as a genre hasn’t always been the multi-billion-dollar industry it is today. The genre faced hurdles breaking into the mainstream market in the United States and same can be said of the Nigerian market. The notion that rap is directly linked to violence and criminality (owing to its origins and majority of the genre’s content) is at the forefront of the older generation’s perception of the genre and hindered its rise in the Nigerian market. As a matter of fact, Don Jazzy speaks to this point in a somewhat controversial interview, stating “if you decide that you want to do rap…your parents are not proud of you…” While one may quarrel with his choice of words, as many rappers did at the time, the sentiments intended ring true for most Nigerian adults over the age of 40. Furthermore, we can all agree that in matters of culture, Nigerians continue to prioritize Nigeria-specific content; uno, buying Nigerian to grow the naira. Thus, with the Nigerian audience getting its fill of traditional rap from American hip-hop artists, listeners look to Nigerian rappers for an authentically ‘Nigerian’ or ‘African’ sound, the definition of which eludes me. This notion is supported by the fact that in recent years, the rappers who have made the greatest waves on the Nigerian music scene are those rapping in indigenous languages. Olamide and Phyno are the self-appointed kings of rap in Nigeria and no one seems intent on stealing their thrones. Admittedly, it may be argued that these artists sometimes blur the lines between genres, going back and forth between Afro-pop and hip-hop. However, it also cannot be discredited that these artists and others like Reminisce and the late Dagrin have received praise for their stellar one-liners and wordplay which are somehow even more enjoyable in our native languages. Another rap act who brings something definitively ‘Nigerian’ or at least, relatable to his music is Falzthebahdguy, commonly referred to as just ‘Falz’. A qualified lawyer, Falz would be in a great position to turn his nose up at the Nigerian populace for its ‘inability’ to comprehend complex witticisms. However, Falz, thankfully, recognizes that art, in this case rap, is not elitist and is able to deliver sharp, witty social commentary as well as apropos storytelling over head bobbing, feet tapping afrobeats in the accessible Nigerian vernacular. Of course, other artists have released music which pays homage to Nigerian culture but some, like M.I, who admits in the same Loose Talk episode that he had been wary of releasing his hit song African Rapper Number 1 for fear that it would detract from his image as an MC, do not regard these songs as authentic rap. Consequently, this suggests that some of our rappers face a similar conundrum as do their counterparts across the ocean. Where American rappers and fans of the genre wrestle with the idea of sub genres like trap music and mumble rap as real rap, Nigerian rappers are yet to come to terms with the possibility of making music that is accessible but still lyrically sound. In truth, there is nothing terribly intellectual about rap; its origins are far removed from classical education and Nigerian rappers do themselves, and us, a disservice in maintaining the view that true rap is inaccessible. In a slightly different vein, there is a point to be made about artists like Naeto C and Ice Prince who made music specific to the Nigerian market and enjoyed a great deal of fame and success but have since fallen off and have faced career dwindle in recent years. While one may be quick to use their careers as evidence that Nigerians indeed cannot appreciate rap music even when it tailors to our culture, the reasons for the downturn of said careers have little to do with listeners’ inability to understand rap. In Naeto C’s case, it is more probable that the decline of his career occurred due to label issues rather than a disinterest of Nigerians in rap music. With almost four years in between consecutive releases, it’s no wonder that his career is taking a minute to pick up. On the other hand, the decline of Ice Prince’s popularity has stemmed from a dissatisfaction of listeners who believe the quality of his music has dipped. This can be seen in a simple comparison test between More off his 2013 Fire of Zamani album and Boss off his 2016 Jos to the World album. Here, contrary to M.I and Mode 9’s opinions, Nigerians seem to be demanding better lyrics from Ice Prince. Ultimately, Nigerians are not too dumb for rap, we just want to be catered to. Hip-hop’s place in mainstream media has only been solidified worldwide within the last decade, Nigeria included. With its spreading fame and acceptance, it would serve Nigerian rappers better to tap into the market, giving the people genuine, relatable music rather than dictating for us what we may or may not understand.